Editors introduction – Back in March Rusty Carroll, a great friend of the St Emlyn’s team blogged on the links between experience, mental health and the risks of acute stress reactions and PTSD amongst health care workers. Today we publish part 2 to explain how we might be able to spot difficulties arising in ourselves and in others. My take on these first two blogs is that we need to be more vigilant about our own mental health and that of others around us. These blogs are not as directive as some of the work we put on the blog. If you’ve not read Part 1 then I would do so now as it places this blog in context. I’ve left Rusty’s introduction here as a further explanation of what the blog hopes to achieve. Rusty: The aim of this blog is to identify how mental ill health can present. This will be done by challenging the reader to reflect upon their own state and experiences in order to assess if they or someone they know may be struggling. It is predicated on the notions that exposure to psychological trauma is normal in our lines of work and active measure reduce the risk of a chronic distress state forming. The blog will conclude by being encouraging and by signposting to the next submission – which will be on EMDR therapy. In a previous blog on PTSD, we discussed the impact of severe mental ill health on an individual1. This blog will explore those early sign of distress that we may or may not be aware of. Early identification of issues can prevent the impact becoming so severe. Who are you, how are you? Let me make some observations that might apply to you as sit reading this piece. Place yourself in a really good moment in your life and it might look like this. You are doing well. You’ve just passed some exams, received a promotion or maybe simply survived an annual appraisal. To get to this point in your career you have studied hard some of the time, worked hard more of the time, made sacrifices and compromises with your home or social life and you are beginning to feel less of a novice. You are doing well. Then something happens to challenge this perception. You receive a complaint, you make an error, you are ignored or belittled professionally. All of those feelings of fear and doubt about your suitability for all of this re-surface. Through the course of dealing with this challenge you undertake some reflection2. The reflection may be formal or informal. At the very least you will spend some time doubting yourself. That doubt may resolve with time or as a result of a cognitive process. Reflection typically focuses on the clinical elements of the occurrence: the knowledge and skills that inform your diagnostic and management decisions. You might have examined your behaviour, especially if “signposted” to do so. If you are lucky, you may be open to the idea that something else is going on. Not simply the see-saw between imposter syndrome and arrogance that commonly kicks in at this point, but an awareness that there is another element to your life that is impacting your performance. Is it possible your wellbeing is an issue? You are a person with ongoing needs, with professional responsibilities and accountabilities and with insufficient hours in which to work, play, sleep, repeat. It isn’t a good time for you to take on a new awareness. Actually, it might be exactly the time. How would you know that your wellbeing is compromised? Sadly, there is no simple test for this. Baseline wellbeing varies enormously between individuals, societies, cultures and age. How would you recognise a loss of wellbeing in yourself or a colleague? We all experience challenging events, those with unexpected or unwanted outcomes, those with some challenge to our sense of self. Such events may challenge one person but perhaps not others. Have such events left you feeling empty, or hollowed out, sad, struggling to sleep, with altered eating and drinking habits? Are you getting angry often or too easily, do you seem to be spending more time than usual inactive? Are you working out that frequently that you are getting injured? Are there things that used to be easy that are now hard work? If so, you may be affected by an acute or chronic stress response. Why do behavioural changes occur in stress responses? 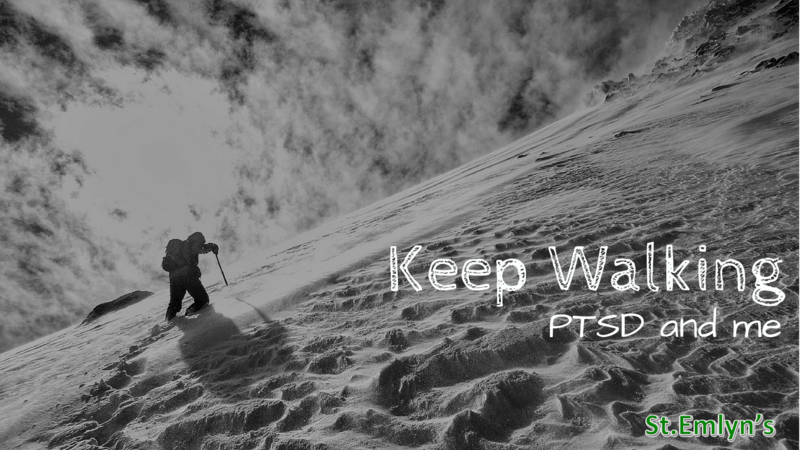 In our first blog about PTSD, we explored the idea of hypervigilence. Hypervigilence is one of the common symptoms of PTSD. It can also be present in less severe cases of loss of wellbeing. With hypervigilence, your fight or flight response switched up to eleven all of the time. This is sometimes referred to as the “dinosaur brain” or the “threat mind”: your higher cognitive functions are being over-ridden by a sense of imminent threat coming from well below your cerebral cortex. Your lower brain functions do not trust your higher brain functions to look after you. It’s the psychological equivalent of collapsing in response to hypotension. Your response to minor challenges and threats may be out of proportion. This might be rage instead of irritation, debilitating depression instead of disappointment, terror instead of confusion. If you or someone else’s emotional and behavioural responses are disproportionate or out of character you may be suffering a form of stress response. In the initial aftermath of a traumatic event, such behavioural responses are natural. Indeed, they may be viewed as protective, as you re-frame the event in a way that cease to challenge your core values and sense of self. This initial response can be weeks in duration, and through this time there should be a gradual reduction in the severity of the impacts. Other experiences at this point may include flashbacks – as images, sounds, smells and even recollection of memories spanning more time than a single freeze frame image. These flashbacks can be intrusive – they come at any point and perhaps distract fully from something you are engaged in. All of these behavioural changes serve a purpose: self protection. They are at least our mind’s attempt to do so. Sadly, our minds are poorly prepared to protect themselves. Our innate reaction to psychological distress has little curative value in it. In order to recover, we need help. There’s a much quoted clip from the show “The West Wing” which beautifully illustrates this. We believe we are fine, we believe we are coping. The moment we realise we might be better off asking for help is an enormous step on our road to recovery. I took this step – and turned around and went back – many times. This is not a journey of one step, rather of countless steps taken one at a time. Carley S. Post Traumatic Stress Disorder. A personal story. St.Emlyn’s – St.Emlyn’s. St.Emlyn’s. http://www.stemlynsblog.org/post-traumatic-stress-disorder-a-personal-story-st-emlyns/. Published March 2, 2018. Accessed July 7, 2018. May N. On Reflection. St.Emlyn’s. http://www.stemlynsblog.org/on-reflection/. Published January 16, 2018. Accessed July 7, 2018. Im in a hole. I was belittled (?bullied) – made to feel i was a bad doctor (/person). All i ever got was negative feedback. Negative meetings. All designed to look like ‘support’ on paper. But in reality were intimidating negative soul bashings. Ive left EM training. For now. Im not strong enough to go back, yet. But this kills me every day that im not doing it. I do the odd locum shift. I dont know how to get out of the hole and move on….. Thanks for sharing your story though.